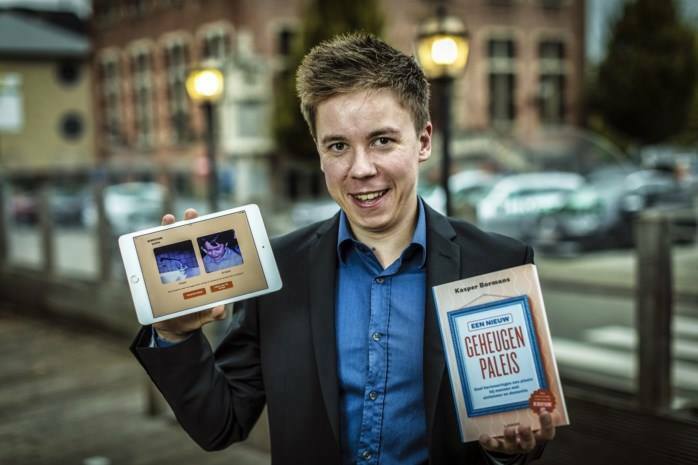 Kasper Bormans (°1987) is a WYLD member and a young PhD-researcher at the Leuven School for Mass Communication Research (KULeuven, Social Sciences, Belgium). He is author of the book ‘What Alz?’, inventor of the ‘Game of imagination’ and he studies virtual memory palaces and other techniques to communicate broader and more efficiently with people with dementia. I’m a PhD-researcher in Communication Sciences (KULeuven) and I examine how to increase quality of life of people with dementia and their surroundings. ‘What does Alzheimer’s disease have to do with communication?’ Probably more than you might expect, because dementia is not only difficult for the patient, but also for the people around them. Caregivers and family members can be considered the ‘shadowvictims’ of the disease. Memory loss also implies ‘communication-loss’, and the sense of losing connection with their loved ones. 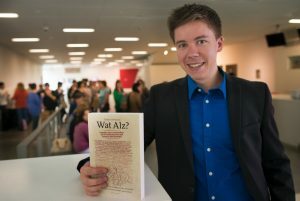 I recently published a book ‘What Alz?’ in which I propose to utilize conversational techniques from marketing to support improved communication with people with dementia. These insights can be used to maximize dialogue between people with dementia and family members, which in turn can reduce agitation and resistance, build trust and generally improve quality of life. What is the most rewarding & challenging aspect of your work? The most rewarding part is the positive feedback I get from audiences. The last three years I gave around 200 lectures on ‘What Alz?’ in Belgium and abroad. It’s a new way of looking at dementia and it gives people hope and plain tools to continue the struggle for connection. Participants often tell me: ‘My mother/father has dementia, and when I go over to visit, I’m dragging my feet and I lack the energy and the creativity to communicate properly. But from your story I’ve picked up several practical instruments and conversational techniques to build the bridge again. Thank you.’ These reactions keep me going. What motivates you to work in dementia? Dementia is the problem of the future. The number of people with dementia is overwhelming and it will triple worldwide over the next decade. Most Alzheimer’s research is pharmacological, focused on the search for new treatments. Many experts study the condition through a microscope in order to unravel the neurological mechanisms and to come up with a ‘golden medical solution’. As the recent withdrawal of Pfizer from Alzheimer’s research indicates, that wonder pill will not be so close in our reach, for at least the next 10 years. Therefore we have to dare look at dementia from different angles. Let’s not solely focus on the diminishing connection between brain cells, but also between human beings. What is the most proud accomplishment in your professional career? When I started my research with a TEDtalk on ‘Alzheimer and memory palaces’, I dreamt of developing an instrument that allows people with dementia and loved ones to walk through their well-known environment while telling positive stories about significant others. I remember a lot of resistance and skepticism in the beginning from experts in the field saying: ‘What bothers me is your optimism, you believe these people are still capable of doing all kinds of things, but this is not the case!’ Often I felt discouraged by their words and considered to quit my quest. But I’m delighted that my perseverance has allowed me to develop a mobile application (MemoryHome) to increase quality of life. Vividly, I recall a young couple sitting in the front row when we launched the application (together with a book ‘A New Memorypalace’). The man had dementia and his wife was his carer. She told me ‘we just came from the neurologist, who said he had nothing at all to improve our situation at the moment…’ They were desperate. It was rather fulfilling to give these people, searching for something tangible, the MemoryHome-tool in their hands. It is not a miracle instrument that will solve everything, but at least they have something to work with, to hold on to and to rediscover each other. These encounters inspire me as a researcher and as a person. How do you see your work impacting the broader research community? Everything I do stems from a sincere admiration for the shadowvictims of dementia. What they experience is hard, difficult and challenging. I hope my research will give them practical instruments and fresh ideas to become even better tomorrow at what they are already doing great today. This summer I will present my research at the ADI Conference in Chicago. Next year, I’ll finish my PhD and it will result in an explorative study that might trigger other universities and research facilities to build memory palaces to improve quality of life with dementia. Think global, act local. Find more information on Kasper Borman’s work here. 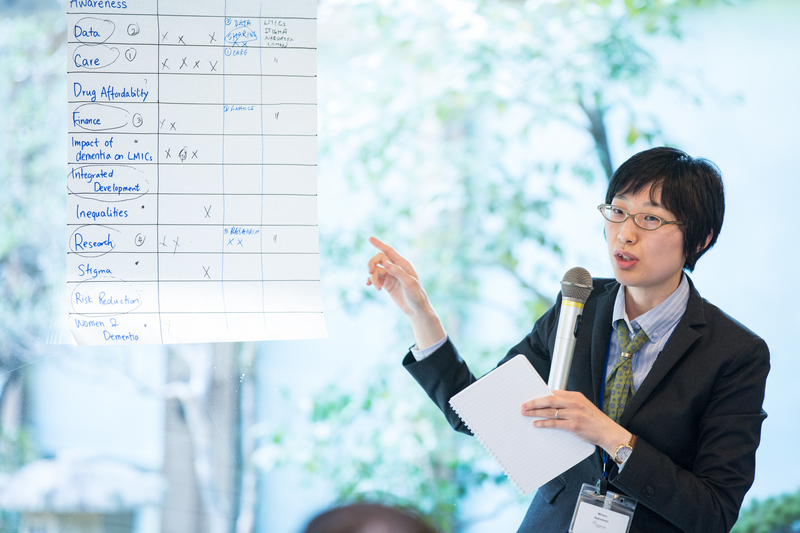 WYLD members are young professionals working in dementia research, care or advocacy looking to connect with others to amplify their efforts and be part of a global movement to improve the lives of people living with dementia and their families. Our Member Spotlight helps you get to know our members across time zones and borders. Each month, we highlight a new profile and feature the member’s work, ambitions and how they are looking to connect with other members.